The taco is probably the most common Mexican food ordered today—especially in America. Today, you can order tacos in just about any variation imaginable, but what did the very first taco look like? Where did the taco originate, and how has it changed over the years? Explore the answers to these questions and more as we unveil the intriguing history of the taco as we know it today. Where Did the Taco Originate? Believe it or not, there’s some disagreement out there when it comes to where and when the first taco was made. However, most people believe that the first tacos were made in Mexico at some point during the 18th century. As for who invented the taco: this is something we’ll probably never know for sure. It is also assumed that the taco’s history in Mexico pre-dates the arrival of Europeans within the country. 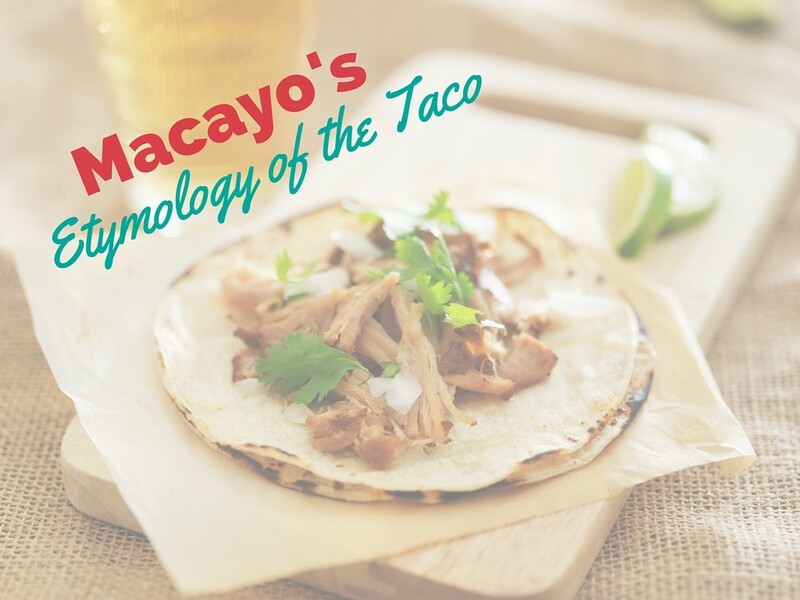 While the exact history of the taco isn’t known with 100 percent certainty, one thing we are pretty sure about is the etymology of the taco—that is, the history of the word itself. It’s actually quite interesting, because back in the 18th century, mine workers in Mexico used the word “taco” to refer to a small piece of dynamite (gunpowder wrapped up in pieces of paper) that they used to excavate large areas of rock. It’s not exactly known how the word began to be used to be apply to the food version—meat wrapped up in a tortilla—but it is easy to see how this translation in meaning was made. Today, there are so many different types of popular taco dishes. It’s believed that among the first taco dishes that gained popularity was the fish taco, as early European settlers in Mexico documented enjoying tacos filled with fish at the time. Today, fish tacos are still quite popular, as are tacos al pastor. This particular type of taco refers to one stuffed with thin pork steaks that have been seasoned liberally with adobo seasoning. Street tacos have also grown massively in popularity, and these days, you can go to just about any major city and come across several street taco vendors. These vendors tend to sell their tacos directly out of a food truck, and they can come with any variety of meat options, ranging from pork and steak to chicken and beef. And of course, there are even more creative takes on the traditional taco, such as the dessert taco. These tacos tend to be made of a sweet tortilla shell with cinnamon and sugar, wrapped around some sort of sweet filling. Some common filings include fresh chopped fruit, whipped cream, chocolate, and the like. Dessert tacos are prepared similarly to traditional tacos and may even be garnished with powdered sugar or chocolate chips. While the specific history of the taco is arguable, there’s no denying the impact the taco has had on today’s cuisine. So, the next time you order a taco, be sure to consider its long-standing history in Mexico, the Unites States, and across the globe.